It was Directed by John Zaritsky and written by Terence McKeown abd John Zaritsky. The controversy about a person’s right to die at a time and place of their own choosing has become focused on the Swiss organization Dignitas, and its founder Ludwig Minelli. Dignitas, in Zurich Switzerland, is the only place in the world where a person seeking an assisted suicide can be helped to die, no matter where they are from – and no matter what their state of health. For the past year, Oscar-winning Canadian director John Zaritsky has had exclusive access to Dignitas, and its clients. 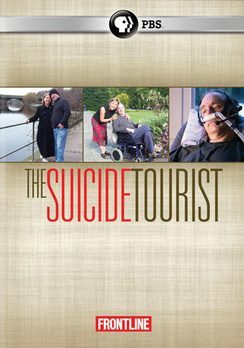 In The Suicide Tourist, Zaritsky tells two interwoven stories about suicide: In the first, he follows a terminally-ill man, 59 year-old American Craig Ewert, through the last four days of his life – preparing to leave his adopted home in England for the last time, then on his journey to Zurich, and into the care of Dignitas, with whose help he will end his life. Dignitas – a kind of travel agency to the afterlife – has made all the arrangements. The death will take place in a rented apartment, where a Dignitas employee will prepare a fatal dose of sodium pentobarbital. With his wife Mary at his side, Craig will swallow the poison, and slip quietly into a final sleep. Dignitas will arrange all the necessary paperwork, the body will be cremated, and the ashes shipped home to his family. In Switzerland, the law says only that suicide must not be assisted for personal gain. Ludwig Minelli, the civil rights lawyer who founded and runs Dignitas, believes the option of a painless and dignified death is a basic human right, and should be legal for all, even those who aren’t ill. The second story in The Suicide Tourist will follow George and Betty Coumbias, from Vancouver, who will test that philosophy, and the Swiss tolerance for a law some say is giving Zurich a reputation for suicide tourism: George has terminal heart disease, and would like to choose the time of his death with the help of Dignitas; his wife Betty is determined to die with him, even though she is perfectly healthy. Through these two intimate, compelling, and controversial stories, we will understand the difficult choices these couples have made; choices we, or our friends and family members, will be faced with at some point in our lives. The Suicide Tourist will take the audience on a journey they could only have imagined, and will not forget.